Biopesticide Winchester | Sod Farms | ProNuTech Inc.
A low-risk biopesticide, ProNuCur HY is an ideal granular product for lawns, sod farms, fairways, and gardens. This product is produced and patented by ProNuTech Inc. in Winchester, KY, a known leader in the industry. Be confident that when you choose to use our biopesticide, you will receive impressive results. With the proper and regular application of our biopesticide, your grounds will definitely become more healthy and viable. For broadcast and band application under field, home garden, and nursery conditions, the product should be tilled to a depth of 6-8 inches below the surface where plant roots commonly extend and where plant pathogenic nematodes tend to proliferate. The same equipment may be used for both band and broadcast applications. For bulk soil treatment in greenhouse, home garden, and nursery situations, soil should be sieved to remove large particles and crop debris and then blended with ProNuCur HY in an appropriate mixer to assure homogenization with little or no segregation of particles. For post-plant surface application to lawns, turfgrasses, sod farms, golf course greens, or fairways, ProNuCur HY can be distributed at any point in the growing season using conventional applicators and should be immediately irrigated to assure adequate subsurface penetration. For all uses, a single annual application is usually sufficient for nematode control. For best results, soil analysis for nematode typing and counts of adult forms and larvae should be undertaken both before and after each crop season. This information is believed to be accurate and is provided in good faith to comply with applicable federal and state laws. No warranty, representation, or guaranty of any kind, express or implied, is hereby provided or intended with respect to the completeness of the information contained herein. We accept no responsibility and disclaim all liability for any harmful effects which may be caused by the purchase, resale, use, or exposure to our product. Customer users of silica must comply with all applicable health and safety laws, regulations and orders, including OSHA Hazardous Communication Standard. 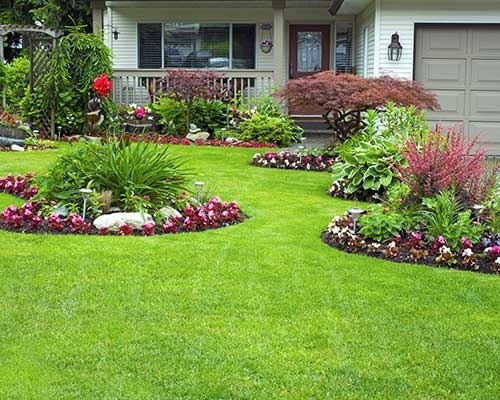 Get effective lawn care and landscaping solutions. Try the wonders of ProNuCur HY today! A university-proven pesticide, this granular product is a great alternative to the hazardous chemicals you have been using. To learn more about our products, prices, or application methods, do not hesitate to contact us.